Thoroughly updated to reflect the past decade's technological advances, this edition of the only authorized parliamentary procedure guide contains new information on conducting meetings over the Internet, on phone and video conference calls, and with members in absentia. Other editors are William J. Evans, Daniel Honemann, and Thomas Balch. 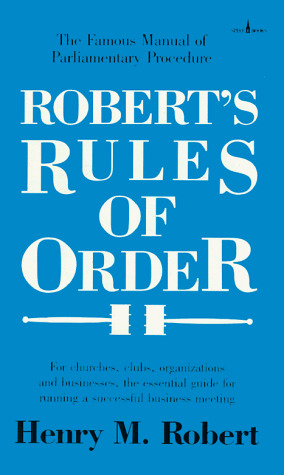 The only authorized guide to parliamentary procedure, completely updated for the internet age.